Dynasty Impact: This should be considered an incomplete as the Titans are almost certainly not going to go with Shonn Greene at running back. The same could be said at quarterback as Jake Locker doesn’t appear to be the long-term answer. 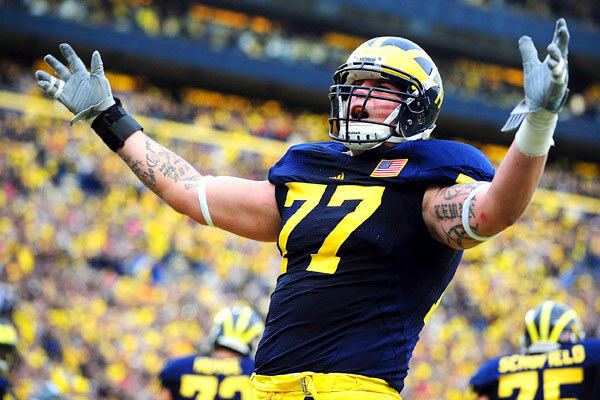 Whoever they draft at both positions will benefit from Lewan who can pass protect and run block well. Won’t be an elite tackle a la Greg Robinson or Jake Matthews but should be a good tool. This entry was posted in NFL Draft and tagged 2014 nfl draft, dynasty fantasy football, greg robinson, jake locker, jake matthews, shonn greene, taylor lewan, tennessee titans. Bookmark the permalink.